Reduce overspray drift with the HomeRight Spray Shelter, it provides an area to spray paint or stain. The tent-like structure is designed to help limit overspray drift associated with spraying paint or stain outside. The curved three-sided design helps direct the paint and stain spray airflow from spraying towards the ground. The lightweight design makes it easy to position around your painting or staining project. 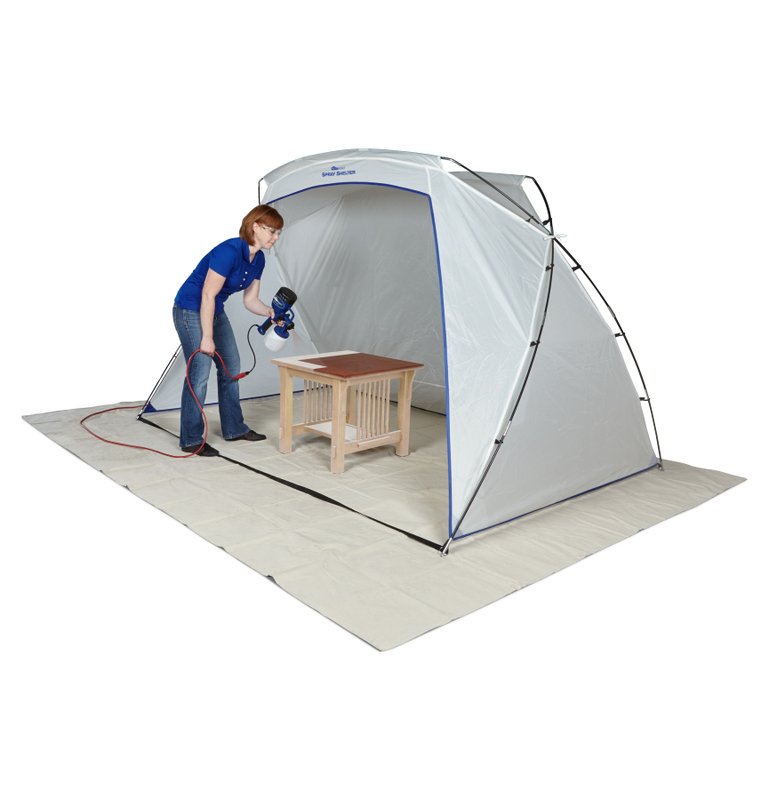 The Spray Shelter can be set up and taken down in minutes and packs up in a small footprint for easy storage. This temporary structure can be used in a yard, garage or shed. Great for spraying small to medium size furniture pieces with spray cans or paint sprayers. The solid mesh-free design limits overspray from escaping onto surrounding areas, the shelter is portable and lightweight for easy maneuvering.